We are rolling out our new staff predictions feature where I will predict which recruits will be joining the Nebraska recruiting class. It will be fluid, and I will try to give insight as to why I’m making the selections that I’ve made. Someone had to be the first and he’s a good one. Four-star defensive back Christian Tutt‍ of Thomson, Georgia, (No. 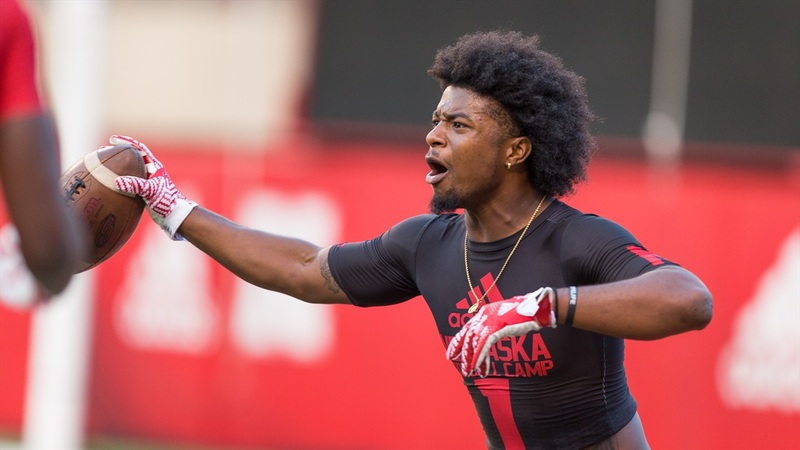 5 Greg’s Guy) is a prospect that rose quickly up the list of most wanted for Husker fans after he showed up to Friday Night Lights camp on June 23 and held his own against the other top prospects. The defensive back has good size (5-11, 165) and versatility with the ability to play either cornerback or safety in college. There was a lot of talk that he would come back for an unofficial visit with his family during the summer but those plans stalled. That’s not a big concern though since it makes financial sense for him to come back for an official visit on a game day when Nebraska can pay for it. Since he spoke so highly of Nebraska after the camp and immediately talked about coming back, he has been on “commit watch” as someone who could join the class at any time. That has slowed some as he has recently said he plans to take all of his official visits before making a final decision. Alabama, Florida State, Georgia and Ohio State are likely to get the other visits should he take all five but I feel Nebraska ultimately wins out here. The big key in Tutt’s recruitment is his relationship with cornerbacks coach Donte Williams. They have a strong relationship and Nebraska has long made Tutt a high priority to join an outstanding defensive backs group in the 2018 cycle. UPDATE: Just heard from Tutt and he plans to take his official visit to Nebraska for the Rutgers game on Sept. 23. His family will join him on the trip to Lincoln.